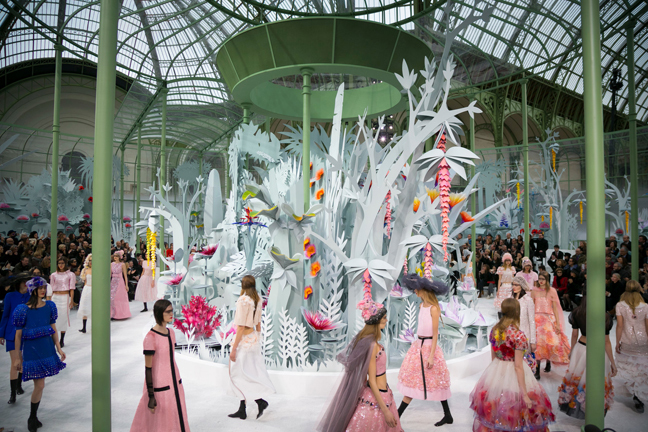 An enchanted garden blossoming with origami tropical plants provides the backdrop to the Chanel Haute Couture collection. 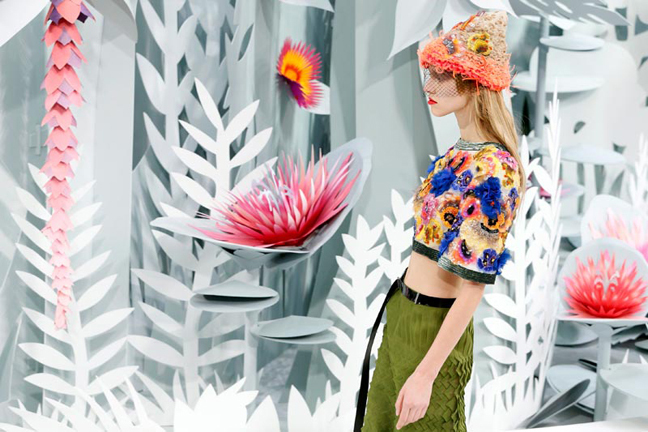 Romantic and sensuous, a fest for the eyes but also dangerous, this magical garden is as mysterious and enchanting as this haute couture collection for young girls in bloom. Multimillionaire girls, edgy beauties with chiselled physiques clad in luxurious midriff-baring numbers. 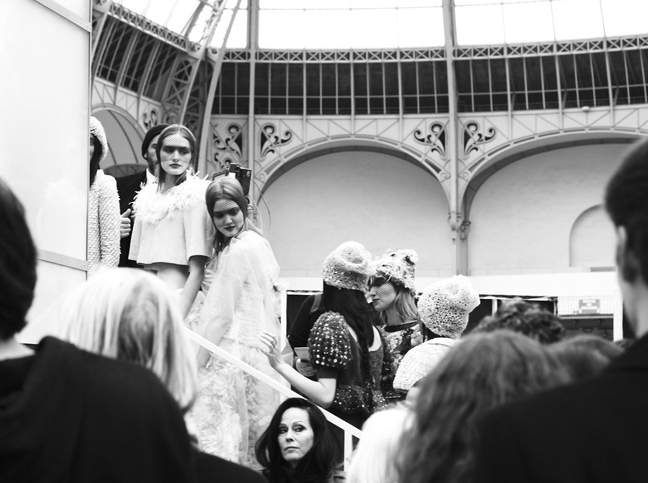 A captivating collection that will surely meet the fancy of the likes of Rihanna, Kendall Jenner, Kristin Stewart or Alice Dellal – muses, ambassadors and friends of the house symbolised by the interlocking CC. 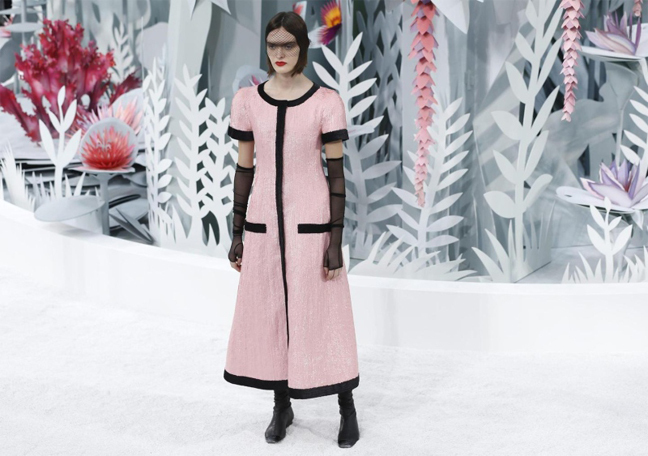 Bewilderingly modern creations that prove once again the creative talent of Monsieur Lagerfeld and his attentive eye always careful to detect any societal change. On the runway, the romantic appeal and the femininity of the flowers is enhanced by the details, the embroideries, the camellia appliques, in organza, pvc and crystals. The suits rediscover a soothed sensuality by way of original proportions that bare the toned midriff, of A-line skirts that recall the corolla of flowers and of colours, that bring to mind rare tropical species.